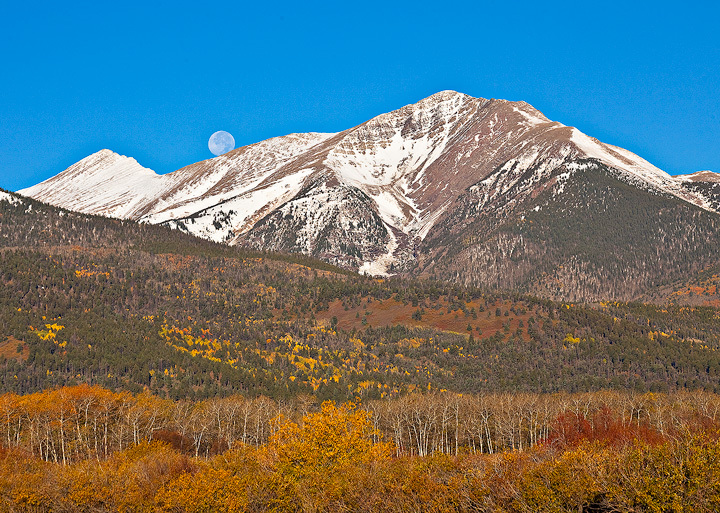 Trip to Rosita for a sunrise shoot of the Sangre De Cristo Range--then on to the Venable Comanche trail to enjoy the great weather! 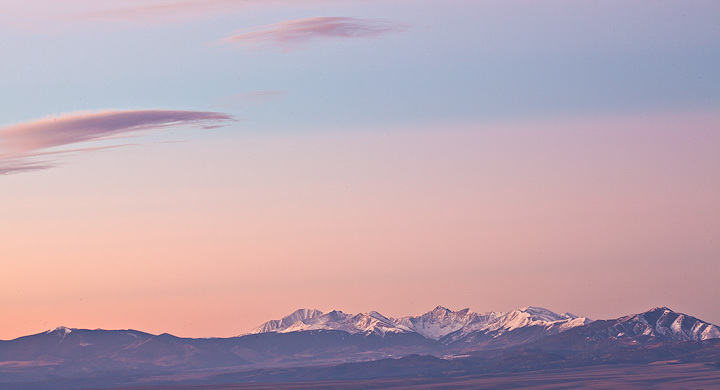 Lone cottonwood in front of the snow covered Crestone Group of the Sangre De Cristo Range. 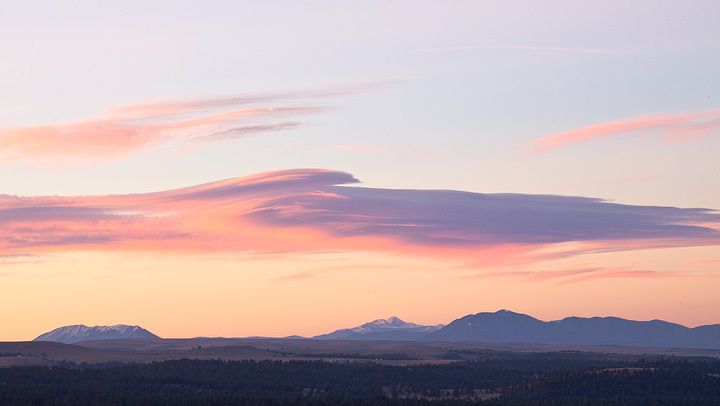 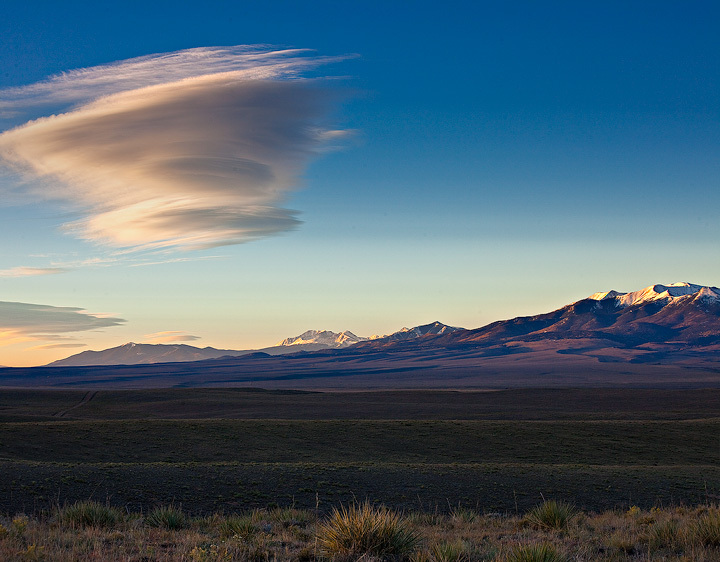 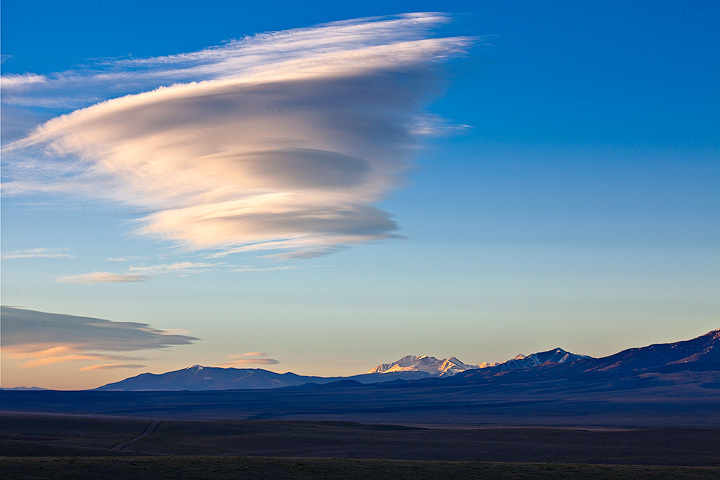 Lenticular cloud at sunrise over the Sangre De Cristos. 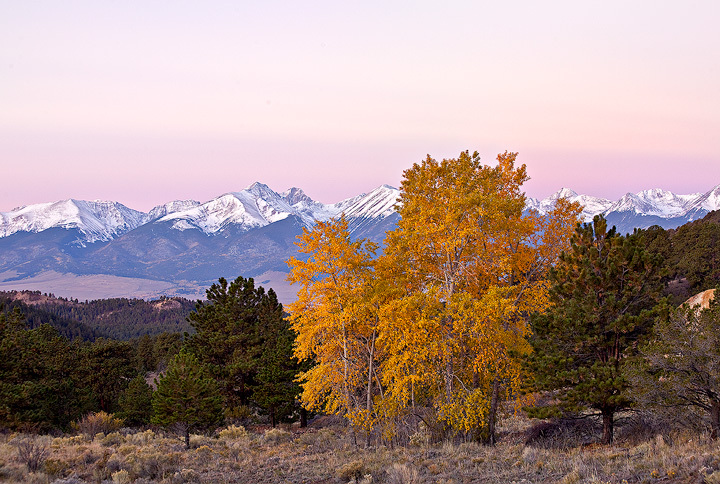 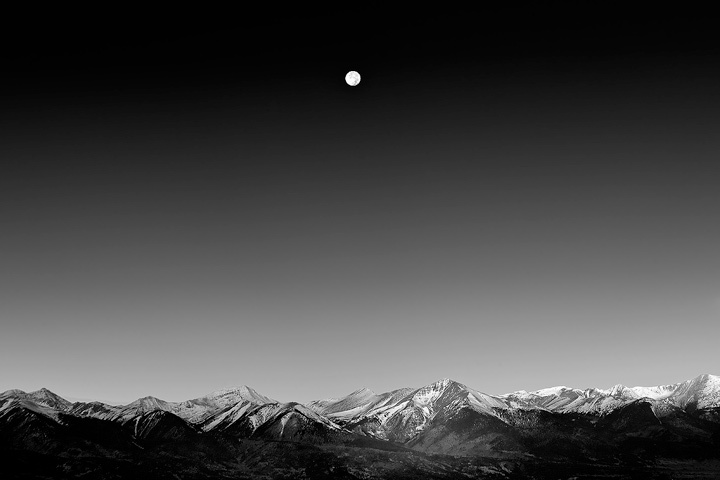 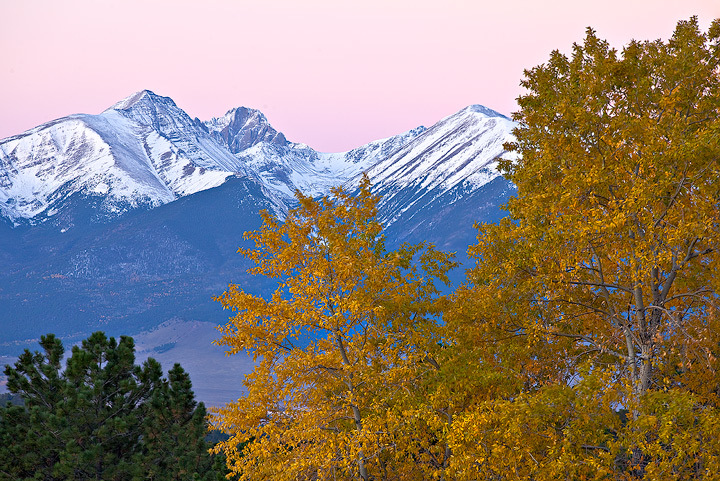 Moonset over the Sangre De Cristo Range, from the Wet Mountains. 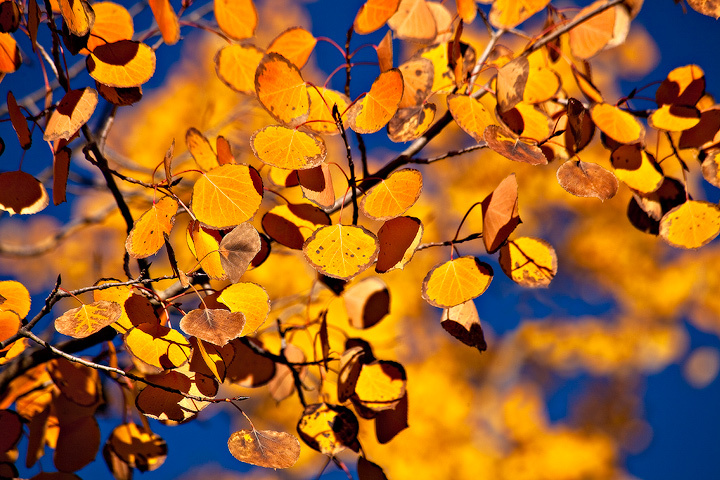 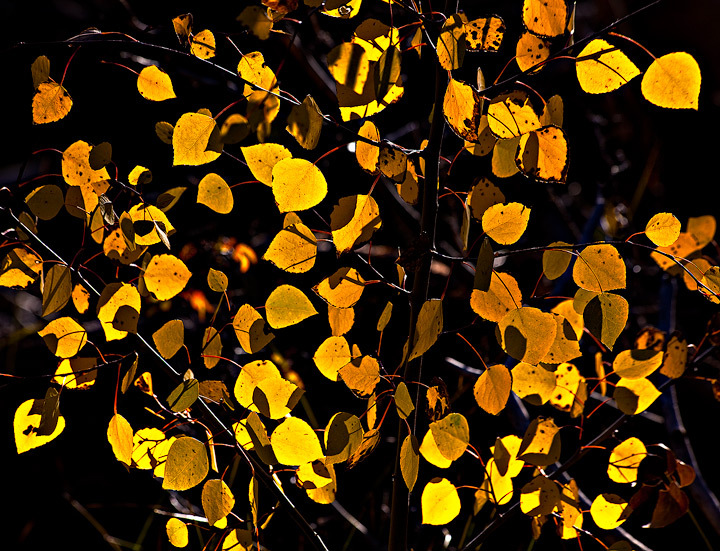 Backlit aspen in the Sangre de Cristo Mountains. 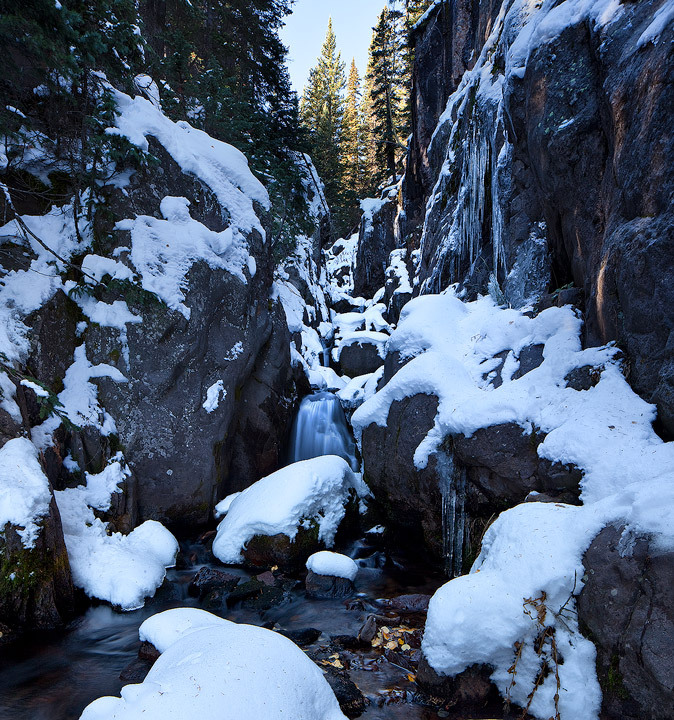 The upper portion of Venable Falls, looking very Winter-like! 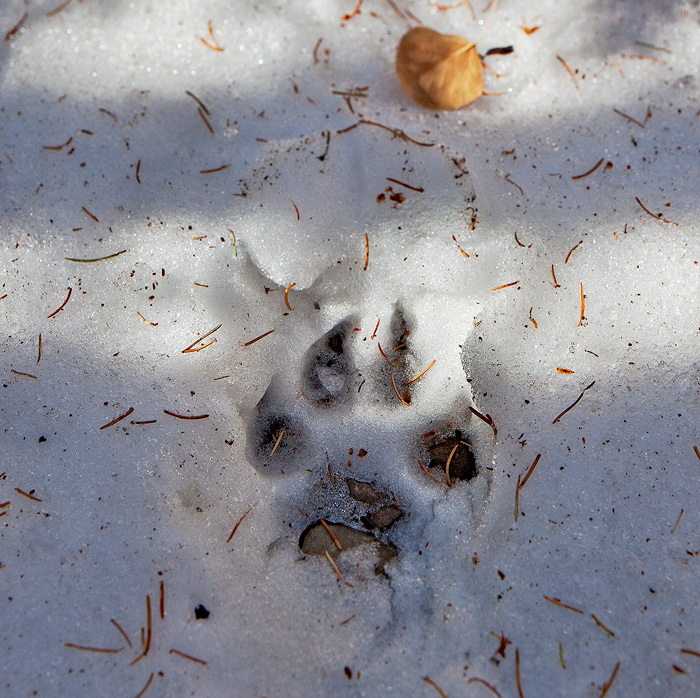 Looks like this cat came down to the creek for a drink; the track was pretty fresh!